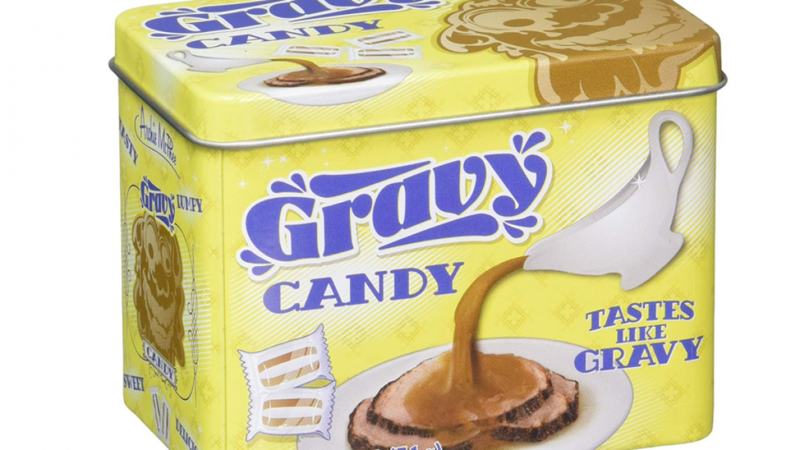 Check out this gravy candy from people who really love gravy. Do you love gravy enough to try it? 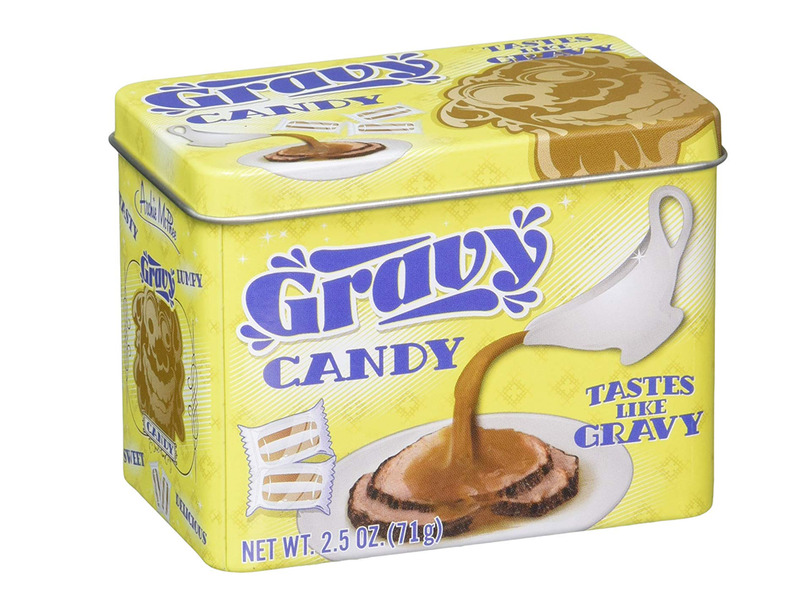 Even if you do love gravy the thought of gravy candy may seem quite strange to you. This is definitely not regular everyday candy. If you love gravy and candy then surely it's for you because it combines both! Each of the brown and white striped candy pieces comes individually wrapped inside the tin. The tin contains 72 grams of gravy candy. Even if you decide you do not like the candy the tin is still a cool display piece. Any person who sees the tin is sure to be curious about what it might taste like. You can be sure of this because most people have probably not seen or tried it before. This candy is a great idea for Halloween because it is very unique and different. If you are tired of store bought candy and want to try something new then this is an option for you. Gravy candy is a fun gift idea because it it is definitely something very different. Serve it to guests because they are sure to be very surprised. If you liked finding out about this weird and wonderful candy then you may also like to check out the following.